The woman was treated at Maine Medical Center in Portland. PHIPPSBURG – Police arrested a Phippsburg man Tuesday evening on charges that he assaulted a woman and cut her with a knife. 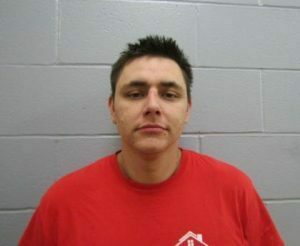 Sagadahoc County sheriff’s deputies charged Corey H. Ater, 31, with aggravated assault, criminal restraint and violation of conditional release. The criminal restraint charge is a Class A crime punishable by up to 30 years in prison and a $50,000 fine. The aggravated assault charge is a Class B crime punishable by up to 10 years in prison and a $20,000 fine. Police received a report of domestic assault and terrorizing on Lewis Way at around 6:15 p.m. A woman said she had been threatened, assaulted and cut with a knife, according to a statement from the sheriff’s department. The victim escaped to a neighbor’s house, where the neighbor called 911. Deputies seized a kitchen knife. “This is still an ongoing investigation but we believe that he held (the woman) in the home for a number of hours and that the assaults took place over the course of this time,” Sagadahoc County Sheriff Joel Merry told The Times Record on Wednesday. The victim was treated at the scene by Phippsburg Fire and Rescue before being taken to Maine Medical Center in Portland because of the extent of her injuries. She was still in the hospital Wednesday afternoon, according to Merry. Ater was taken to Mid Coast Hospital for an evaluation and then to Two Bridges Regional Jail in Wiscasset. He is being held without bail, and his arraignment was expected Wednesday. A 4-year-old child was present during the incident and was safely turned over to family members. Merry said the state Department of Health and Human Services would be notified as part of the investigation.